nucleus, MTF-1 regulates the transcription of a set of target genes, including MT and ZnT-1. MT will bind zinc, and ZnT-1 will transport zinc out across the plasma membrane. MT may govern the delivery of zinc to other proteins within the cell. 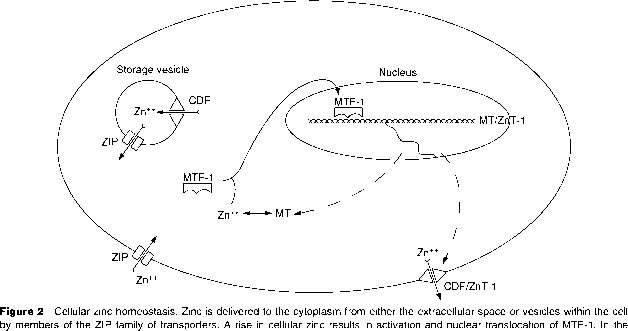 Other members of the CDF family transport zinc into vesicles.